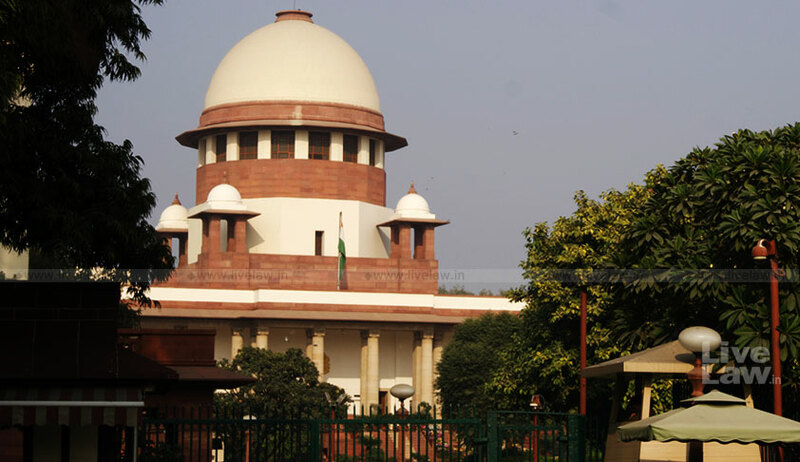 The Supreme Court has issued a notice to the State of Madhya Pradesh and the Bar Council of India on a petition filed by a man against the Jabalpur District Bar Association issuing instructions prohibiting advocates from representing him. The man moved the Supreme Court against the instructions said to have been passed by the Bar Association while also seeking to know the “foundation powers” of the lawyers’ body in the exercise of which it passed such instructions. Advocate Eliza Barr, appearing for the petitioner, a resident of Ludhiana in Punjab, also sought direction to the Bar Council of India for framing of guidelines prohibiting advocates’ body from interfering in the discharge of an individual advocate’s duty towards his client. “The grievance raised in the present petition is that the Bar Association has passed a resolution that no advocate should appear and defend the petitioner. Issue notice to respondent 1 (State of Madhya Pradesh) and 2 (Bar Council of India),” ordered a bench of Justice UU Lalit and Justice Deepak Gupta. The matter is now listed for next week. In the instant case, the petitioner and his estranged wife are contesting various cases. In March, he was in court in Jabalpur for attending the hearing in one of these cases. After the court hearing, the counsel representing his wife (respondent no. 6 in the petition) falsely accused the petitioner of slapping him. This led to a ruckus on the court premises and the petitioner was beaten up and taken to civil lines police station from where he was released on bail a week later. On March 15, the day the petitioner was released on bail, he was informed by his counsel that the Jabalpur District Bar Association has issued instructions prohibiting advocates from appearing for the petitioner and, therefore, he would not be representing him. On March 19, a newspaper also carried a report about such an instruction being issued by the Bar. On May 16, the petitioner moved the National Human Rights Commission where he also raised the issue of his harassment in police custody. After getting no redressal, the petitioner has now approached the apex court. In the petition before the apex court, Barr relied on Mohd Akhtar v State of Jammu and Kashmir where it was held that a free and fair trial is a fundamental right of an accused and said the right to an attorney has to be read as an integral part of the said right. “…an advocate plays an integral and essential part in the dispensation of justice. It is through an advocate that any disputant accesses the justice system and presents his case for adjudication. The foundation of our justice delivery system relies on an advocate transforming a disputant’s petition containing statements and facts into a concise portrayal of the rights guaranteed to a disputant and the violations of said rights, it is the advocate that lends legal sanctity to the claims of a disputant. As such the actions of Respondent no. 3 (Jabalpur District Bar Association) violate the basic fundamental rights of the Petitioner,” she said. She also said that a Bar association is a registered society of lawyers and works towards uplifting its members and the profession as a whole, however, it possesses no power to prohibit any member from discharging their solemn duty towards their client. While citing recent incidents where various Bar associations have at various times passed instructions/resolution prohibiting its members from defending accused like in the 2012 Nirbhaya gangrape case, Barr said the petitioner at present is not able to pursue his cases because of the instruction passed by the Bar Association.